Promaster Security Group Inc. helps to protect people and possessions you value the most. Our security systems can be monitored to an alarm receiving central station 24/7 days a week our full time monitoring station operators are equipped to deliver the fastest response time during a burglary, fire or medical emergency. 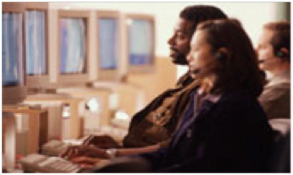 Customer service and excellence in monitoring services is our highest priority. 4. Peace of mind knowing what matters most to you is protected. 5. Security system monitoring just makes sense! You should test your alarm system once a week, the whole process only takes a few minutes and it can be done anytime day or night. First and most important, call the alarm monitoring station and put your security system on test. Now arm your security system and wait at least 2 minutes for the system to fully arm before walking around your house. Now walk in front of all your motions and the siren should go off. Also, open some or all doors and windows that have security contacts one at a time. Then you can put in your code and shut off the alarm system. Now call the alarm monitoring station and tell them you want to check your signals. Our friendly central station operator should be able to tell you exactly which zones were breached. Alarm Monitoring only works if you use it. Be sure to turn on your security system every time you leave the home/business and at night. Copyright 2010 Promaster Security Group Inc. All Rights Reserved.